“Typists for hire – Calcutta,” by Vicky at Flickr (source). That typewriters remain functionally relevant in the 21st century is astonishing, but that relevance is quickly subsiding. In India, street typists still ply their trade, but in ever diminishing numbers. 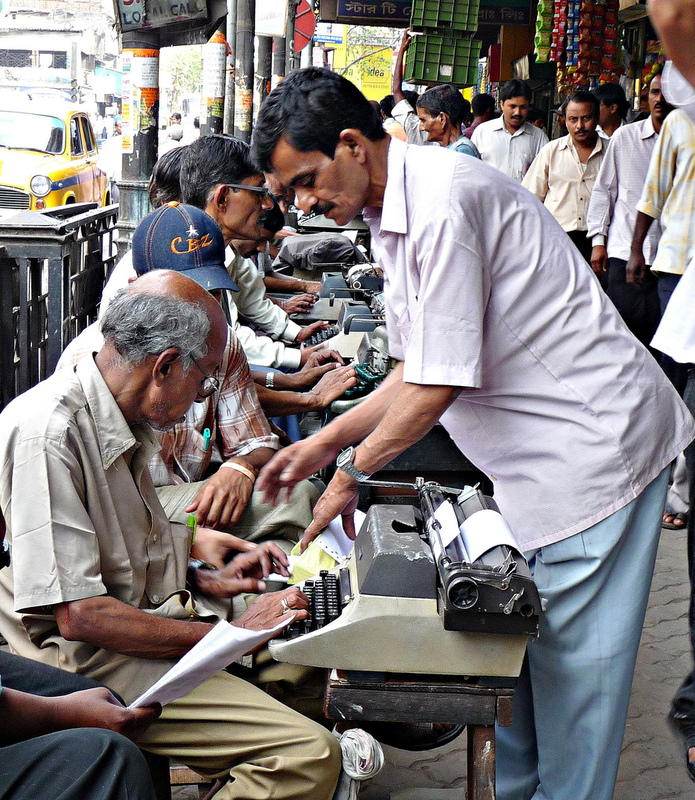 Read about them in this BBC News report: India’s street typists heading for a final full-stop. In a somewhat unrelated news article, but in the same geographic region, read about an English typist’s sojourn in India in the 1930s. "Warris Ali is a dreadful fellow"
Next post: The Remie Scout Model.